1. Development and dissemination of innovative, environment friendly, low cost technologies for the protection of soil and water pollution from olive oil mills’ wastes. The project aims to develop and implement protective/remedial technologies that can be used to remove or significantly limit the presence of pollutants or of other stressing factors in soils and water bodies (surface and underground) affected, directly or indirectly, by the disposal of olive oil mills’ wastes. Phenolic compounds and organic acids are considered to be the most dangerous content of this kind of wastes because they strongly affect soil biological activity and thus, are phytotoxic. They can also reach and contaminate underground water through leaching and thus become a threat for human and animal health. Moreover, because of the improper disposal, wastewaters often contaminate neighbouring systems such as soils, and surface water bodies (rivers, lakes). Except the toxic compounds, oil wastes contain also large quantities of other organic and also quantities of inorganic compounds (N, P, K, Cl). Although these substances are not toxic, the continuous disposal of wastes increases their content (loading) in soils, changing so the dynamic equilibrium between soil parameters and thus, causing its degradation. Thus, it is of great importance to develop protective/remedial technologies suitable for this kind of pollution. Remedial and protective technologies have been developed mainly to recover soils polluted by chemical/food industry or by accident. Literature review reveals the use of such technologies after the closure of industries or after the accident. From this point of view, the recovering ofsoils polluted by industries/companies (e.g. oil mills), which are in function during the implementation procedure, is a specific and very challenging problem to be faced. There are several protective/remedial methods for polluted or degraded soils, the choice among them depends on many factors and variables : climatic conditions, type of soil, soil and wastes pH, soil and wastes’ physicochemical properties, activity of the problem holder (e.g. produced volume of wastes per season), characteristics and geomorphology of disposal areas. Technologies that will be tested/applied in this project are: bioremediation and use of low-cost porous materials as soil additives. Prior the waste disposal, a small, practical waste pre-treatment stage with the use of low-cost reactive agents, such as metallic iron, can be also applied in order to reduce some of the toxic load and thus, enhancing even more the following soil remedial/protective techniques. Composting could be considered to belong to the soil protective technologies because it limits the amounts of disposed wastes. There are composting methods for large and small scale, but since the cooperation of mills’ owners is not always possible and feasible in order to establish and co-finance large composting facilities, it is more practical to develop and implement small scale composting procedures with low operational and production cost, that can be applied from individual owners in their own disposal lands. By the completion of the implementation stage an economical analysis will be important for the integration of the proposed technologies. By synthesis of the obtained results and the collected data, a financial plan will be created by considering and balancing the obligatory inputs and the obtained benefits. Economical status of the involved mill companies as well as, economical and social impacts brought to the region (tourism, increase of daily life quality) will be also considered. Of great importance is to facilitate technology transfer through documenting and disseminating the lessons learned regarding soil/water protection and improvement. In local level, the developed remedial/protective technologies will be presented to all involved parties (mills’ owners, local authorities, policy makers, etc) through workshops, and meetings. Separate meetings with mills’ owners, who are the key persons for the successful implementation of such measures, have been designed to provide them data (economical analysis, operational costs, effectiveness, legislation’s restrictions, environmental benefits) as well as, information and guidance on adopting and implementing the suggested technologies. Mills’ owners will be trained to use the proposed technologies effectively. Except training workshops organization, visits at implementation region with active participation of owners in field activities will be planned. Training materials will be also created and distributed among all interested parties. The successful completion of this objective is of great importance because owners will become active parts of the entire process and can realize the simplicity of the new technologies in practice. 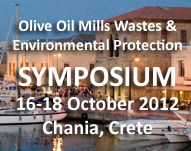 But above all, since the disposal of olive oil mills’ wastes is a transnational problem, located mainly in Mediterranean, with serious impacts, a strategy has been developed to ensure dissemination of the results in the three involved countries and to some extent to other European and Mediterranean countries. 2. Establishment of an info-library/knowledge-base system to assess environmental impacts from olive oil mills’ wastes to Mediterranean region. An extensive inventory programme will take place in order to collect all the data and information relative to the activities of olive oil mills’ activities and the consequent environmental impacts in Mediterranean region. Data and information will be collected with the contribution of all participants from existing database reports, files and technical studies from local and national authorities as well as, from mills owners’ associations. All the data collected will be elaborated in order to acquire a clear view of the state of olive oil mills’ activities and the caused environmental pollution. The successful implementation of the inventory will result in the determination and assessment of the current situation. For the collection of data a network between project partners; actors involved in the field of olive oil production; environmental pollution will be established, including regional and national authorities. The inventory will cover: geo-morphological and hydrological regime, soil type, major forms of land use, mills’ activities, disposal types, amounts of produced and disposed wastes per season, extent of soil and water pollution, progress in recording the existing environmental quality, proposed and taken actions for the completion of the existing data, legislative frameworks and requirements, methods of soil/water/wastes analyses, soil/water quality parameters. Methods already funded and applied or could be applied for waste treatment and soil/water protection/remediation will also be collected. The collected data will be available to partners and to public through internet and for this reason a well-designed web page in four languages (English, Spanish, Italian and Greek) will be created and updated/improved during the entire duration of the project. 3. 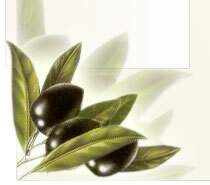 Facilitate the implementation of Soil Thematic Strategy in areas close to olive oil mills. The objectives of the project are harmonically conformed to the objectives of Soil Thematic Strategy, which are focused on “preventing further soil degradation and preserving its functions as well as, on restoring degraded soils to a level of functionality consistent at least with current and intended use”. The facilitating of the Soil Thematic Strategy implementation at mills ‘ wastes disposal areas will result from the identification of all the tools, measures and actions needed to be considered and implemented for the identification of risk areas and of contaminated sites. It is well known and acceptable that the monitoring of a local system is specific for the site, of limited representativity and thus, of little sense for EU. But it is of great importance to report the relevant information about contaminated land problems and solutions in the form of policy performance indicators. The establishment of an inventory of contaminated sites at the pilot municipality of this project which will be followed by a series of on site investigations to identify where there are risks to human health or to the environment and by application of soil/water protective/remedial technologies, contributes to the European soil policy implementation because this integrated approach will be developed and promoted as guide for national authorities of olive oil productive European countries. The implementation of the monitoring system and of the protective/remedial technologies should be studied at a small (local) scale in the beginning and after economical and technical evaluation can be extended at regional, national and even transnational levels. For this reason a pilot municipality (named Nikiforos Fokas) in Crete was chosen for the implementation of projects’ objectives in a pilot scale. 4. Design, implementation and support a monitoring system for the assessment of the soil and water quality affected directly or indirectly from oil mills’ activities in relation to factors pressures and responses. The design and implementation of a monitoring system to assess soil and water quality at areas where the many years disposal of untreated olive oil wastes characterizes them as highly risky sites, aims to develop methodologies and procedures, capable to identify soil/water quality parameters and extent of pollution over time and to provide national authorities with an effective tool, useful for the control of such areas. The detailed study of the area is important because the disposal sites will be monitored, assessed and the environmental risks will be known. Prior to the monitoring system extension at regional or country levels, local level actions should be applied, tested and evaluated. The disposal areas of the target-pilot municipality are suspected contaminated sites affected by local contamination, and in order to be registered as such, preliminary survey on existing soil polluting activities and activities that have taken place in the past, including unhistorical investigation on the site use should be conducted. The main site investigation and sites specific risk assessment decides upon the status of the site and its remediation requirements. One of the expected benefits of this study is the creation of a local inventory (incorporated in project’s web-site), which will contain information and analytical results useful to local authorities and to all involved parties (owners, citizens). The inventory will record the different activities carried out on the municipality’s sites and their abandoned/active state of waste disposal sites. By correlating the above data with environmental conditions and mills’ activities, a profile as well as impacts of the above soil/water constituents (natural, or anthropogenic) will be obtained. This data will help scientists to understand, in large physical scale, which physicochemical processes occur and how they affect (directly and indirectly) the quality of soil and water bodies of the area. They will be also in position to define which soil parameters should be periodically and accurately measured in order to ensure the qualitative control of the disposal areas. The development of a set of soil parameters, which could be used as indicators for soil quality (contamination and decontamination) will help scientists and authorities to structure more focused actions, reducing simultaneously the cost for chemical analyses. GIS will be employed at this stage in fusing and integrating the different sources of chartography and databases concerning the soil/water parameters and the geographic attributes of the areas in interest. A specific database related to the soil/water parameters and organic compounds content for all disposal sites of the municipality will be created. The system (SQL database) architecture and individual data collection items will be continuous updated to provide an updated picture of the condition of the municipality. Data will be processed through geostatistical software packages and a number of thematic maps will be created indicating a time series of the changes of the different parameters. 5. Identification of potential safest uses in the agricultural sector of olive oil mills’ wastes and its possible contribution to agricultural production. Since some of mills’ owners use olive oil mills wastes (OOMW) and solid wastes (SW) as fertilizers for tree growth or as supplements to basic fertilization, it is important to investigate the impact of such procedures on trees’ growth and health as well as on soil fertility and quality. By measuring quantitative and qualitative parameters of trees and soil and by considering the maximum daily/seasonal loads of soil, guidelines will be created. These guidelines will be available to owners or others, who use the same practices teaching them how they should apply the wastes, doses and precautions. Quick methods for the determination of wastes’ physicochemical parameters will be developed. By this way the suitability of wastes as soil additives can be obtained quickly and precisely in the field. By considering all different factors which affect the use of olive oil wastes as fertilizers (soil quality, yield, tree health, cost) guidelines and alternative procedures will proposed to avoid risky practices, which further will contribute to soil protection, to reduction of disposed wastes but also to economical benefits for end-users (farmers, oil producers). The possibility of the safe use of olive oil wastes as soil additives could significantly benefit the majority of olive oil producer countries in Mediterranean area which are exposed to desertification processes, so organic matter application would be beneficial to improve soil fertility and control the erosion processes. Also in organic agriculture, the use of these by-products could represent an important source of nutrients, closing the cycle of residues-resources. Therefore, the controlled use of olive mills wastes as soil conditioners or fertilizers can play a fundamental role in the maintenance of the olive tree ecosystem and on sustainable agriculture.